Our firm offers a wide range of services to our individual and business clients. Because our firm is relatively small, our clients benefit by getting personalized, quality service beyond comparison and at a very competitive terms. Below we have listed the services that we offer to our clients along with a brief description. Tax laws change so often, it’s hard to keep up. We have years of experience in preparing individual, corporate, partnership, trust, and estate tax returns. We ensure you get every advantage you deserve within the purview of the tax code. We understand small and medium business needs. We can, on a consulting basis, help you with such issues as business planning, cash flow analysis, and loan application preparation and even provide you references to other 3rd party services. We offer outsourcing services such as bookkeeping, payroll, financial statements, sales tax submissions, and other accounting services through partnership with Count Green; an online accounting outsourcing company that specializes in small and medium services. Although we do not provide any legal representation or advise directly, during our years of experience with the tax preparation, we have achieved a level of competence that can ensure our clients they are being properly informed about the tax rules before the various federal and state tax agencies. Your goals may range from major business expansion to your child’s college education. We can introduce to you various options available for your effective business and estate planning. Forming a new business can be overwhelming! Hiring employees, leasing commercial space, marketing . . . in addition to actually selling the product or performing the service that sparked your interest in entrepreneurship – is an amazing process. Your decisions regarding business formation are an important step in this process. What type of entity works best for your business? 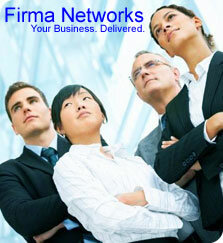 We can help you during this early stage of your business entity formation. We can help you find a real estate mortgage loan. Our partners are residential and commercial real estate financing experts who will help you find and close residential and or commercial mortgages and loans for all types of residential and commercial real estate.